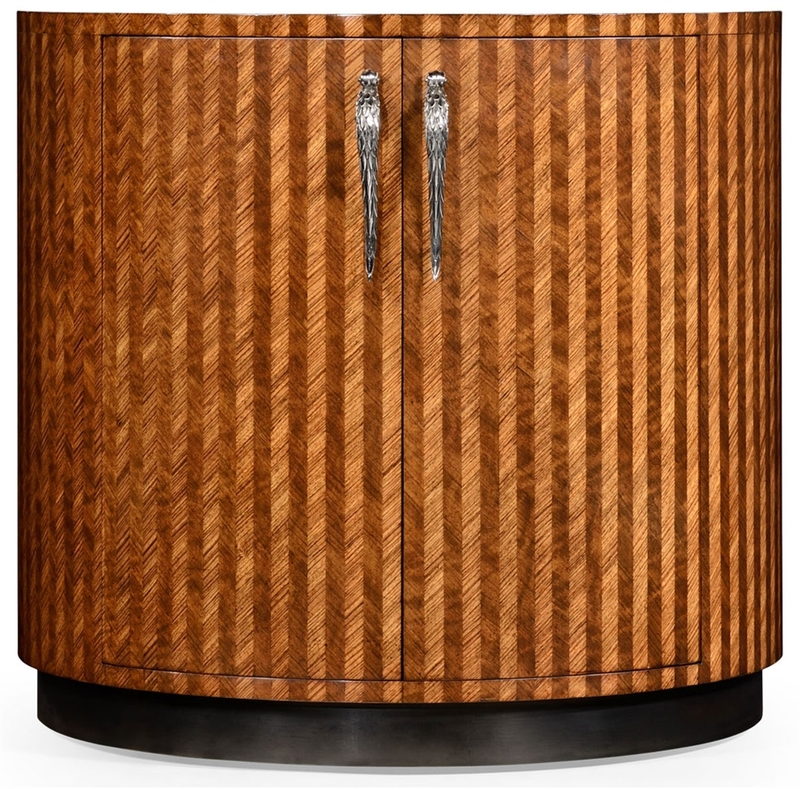 Home > Scale inlay cocktail cabinet. 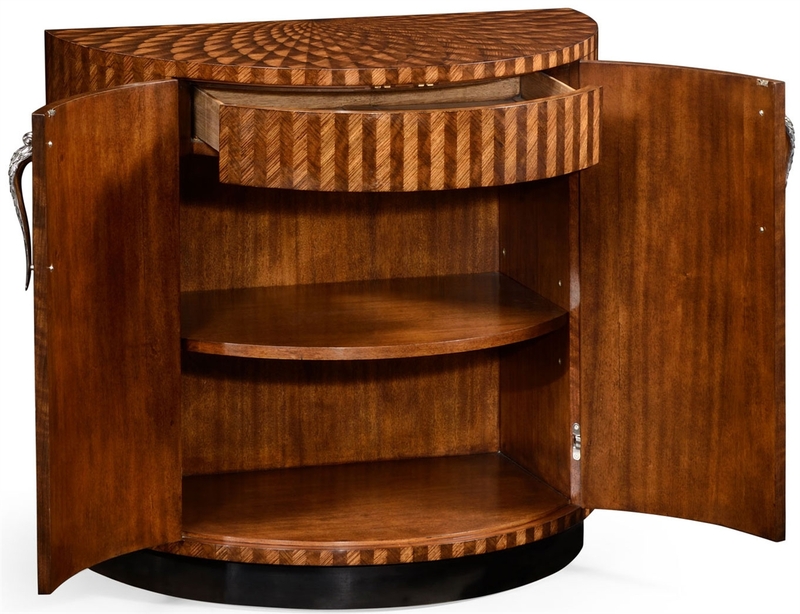 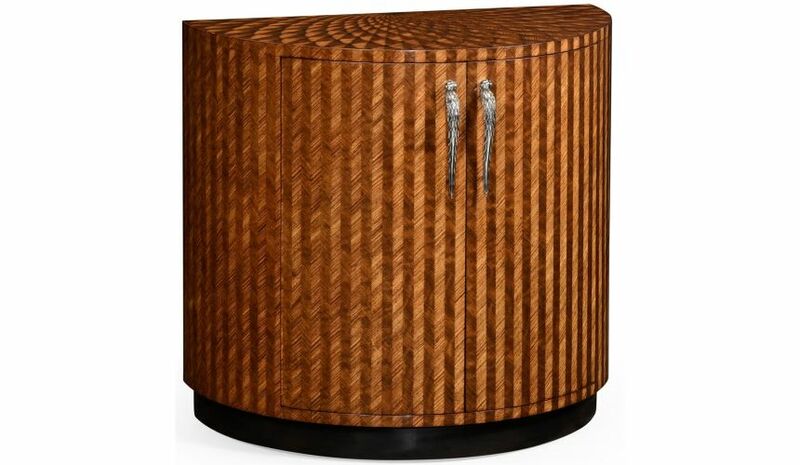 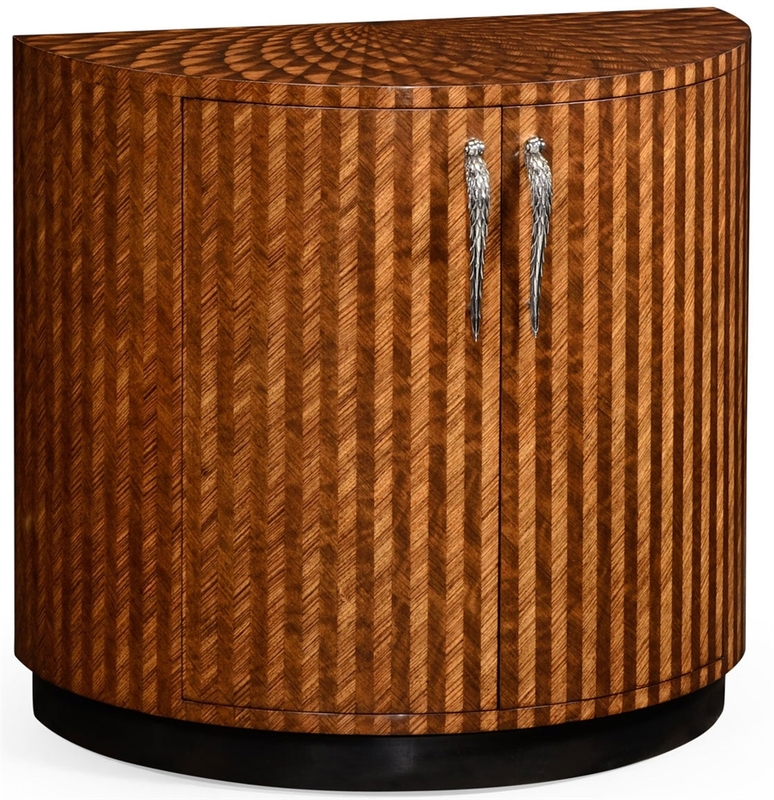 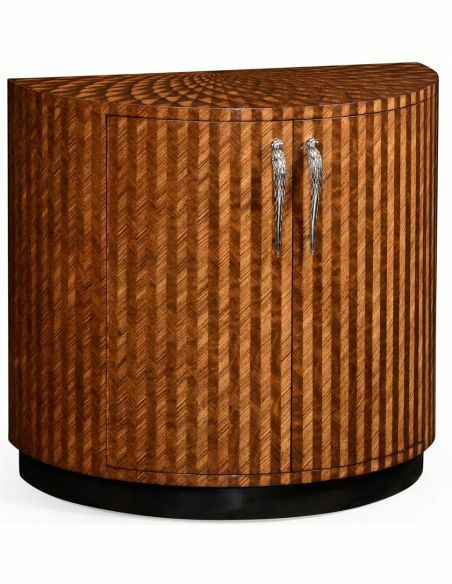 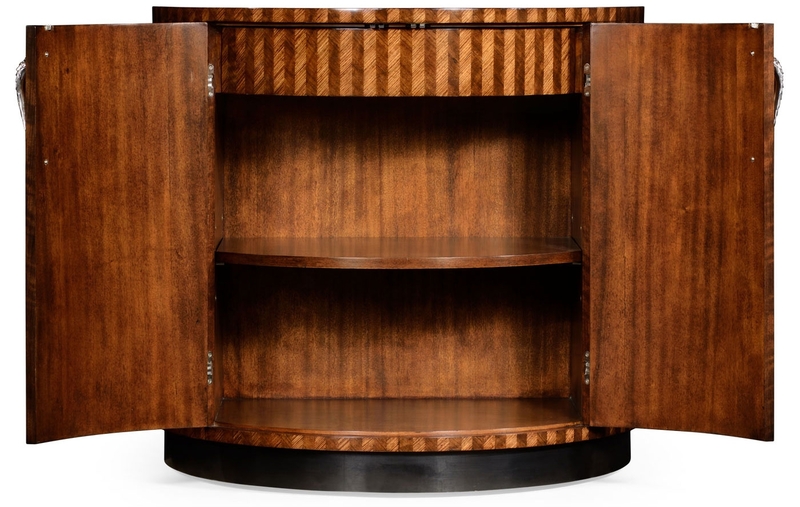 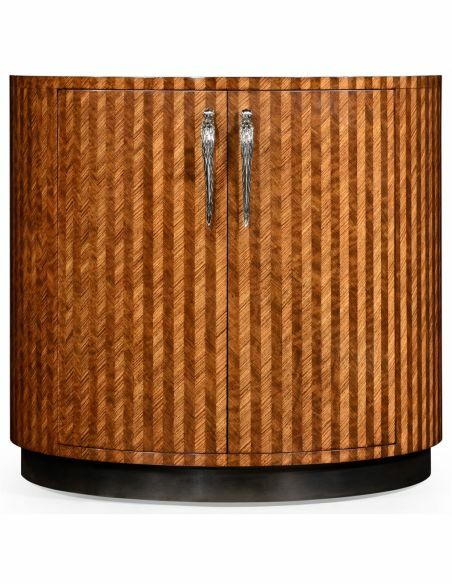 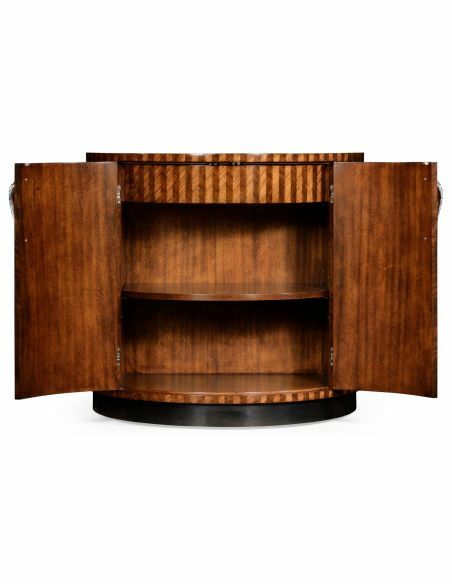 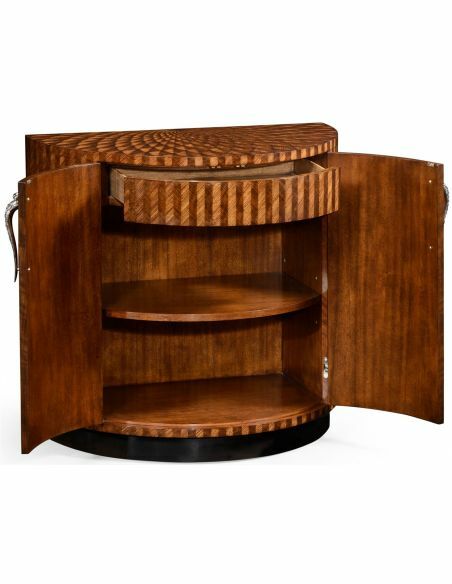 J Unusual and decorative oval low cocktail cabinet with very fine inlays resembling scales to the top and herringbone to the sides. 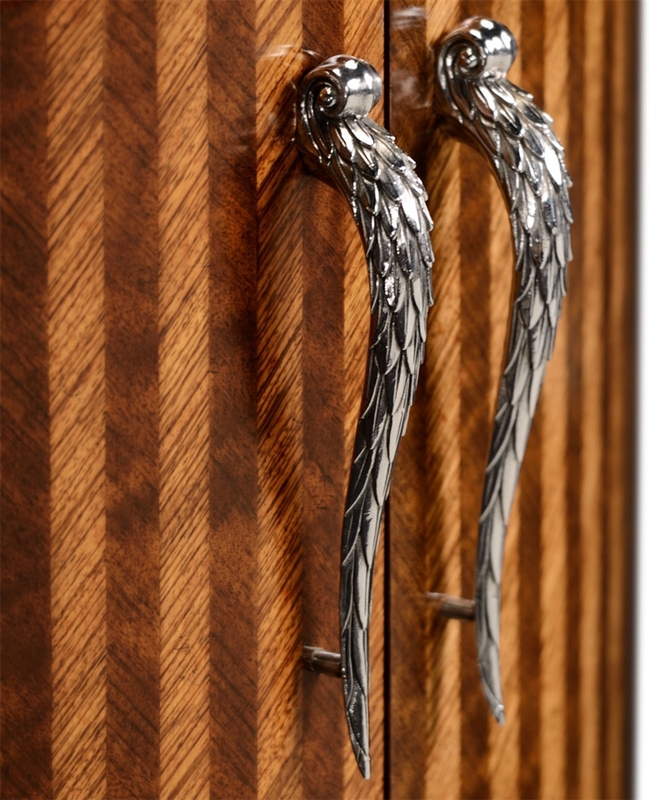 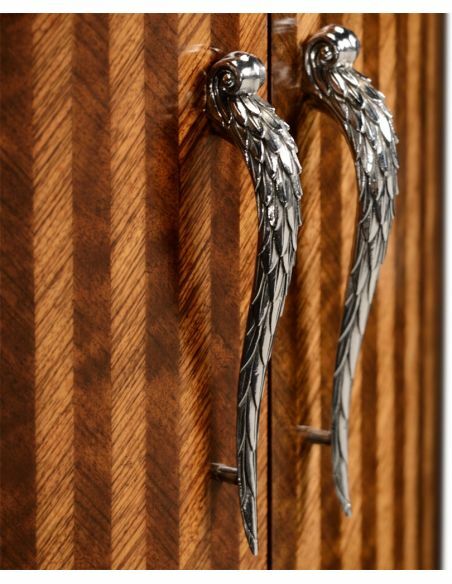 Stainless steel pangolin tail handles to the doors.